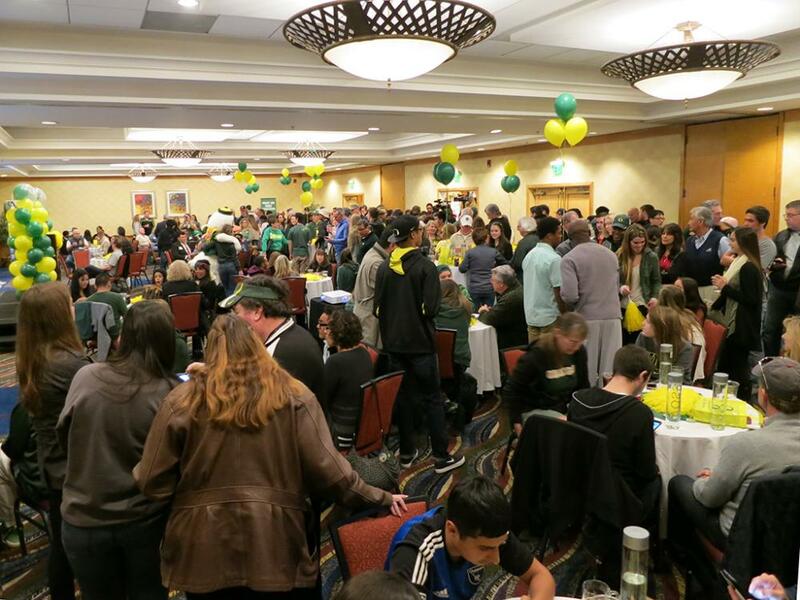 Approximately 600 prospective and current UO students and their families attended a reception in Santa Monica on New Year’s Eve as part of University of Oregon events leading up to the Rose Bowl. 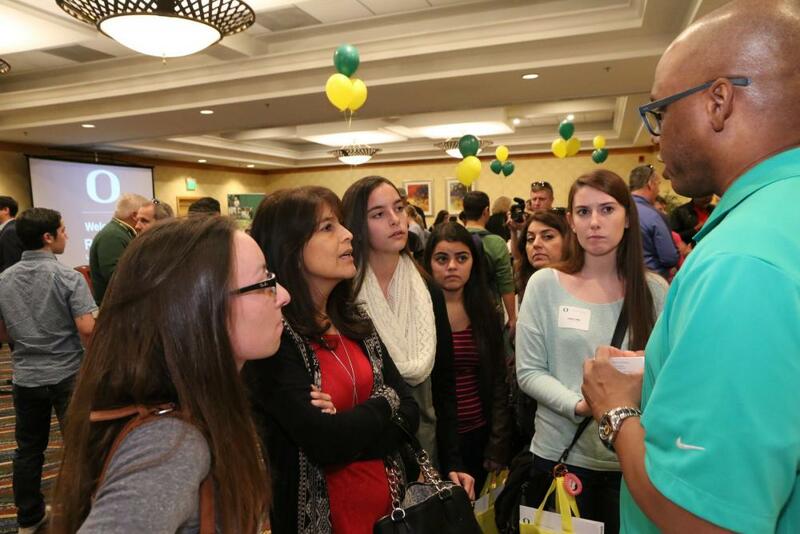 The event included opportunities to talk with university leaders, learn more about majors and explore academic and extracurricular activities at the UO. 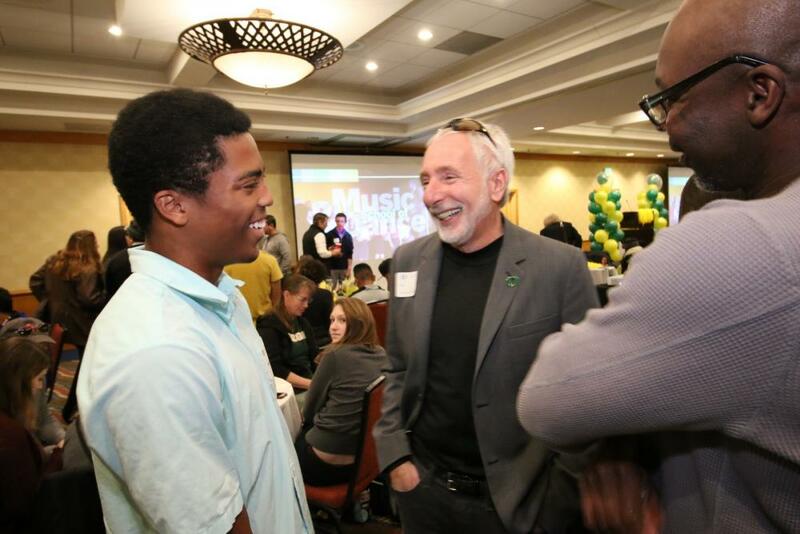 High school juniors and seniors from across California and other states talked with deans and department heads about excellence at the UO. Andrew Golum, a junior from San Diego, spoke with College of Arts and Sciences Dean W. Andrew Marcus about marine biology, human physiology and pre-med fields of study. “That was extremely helpful,” said Golum. 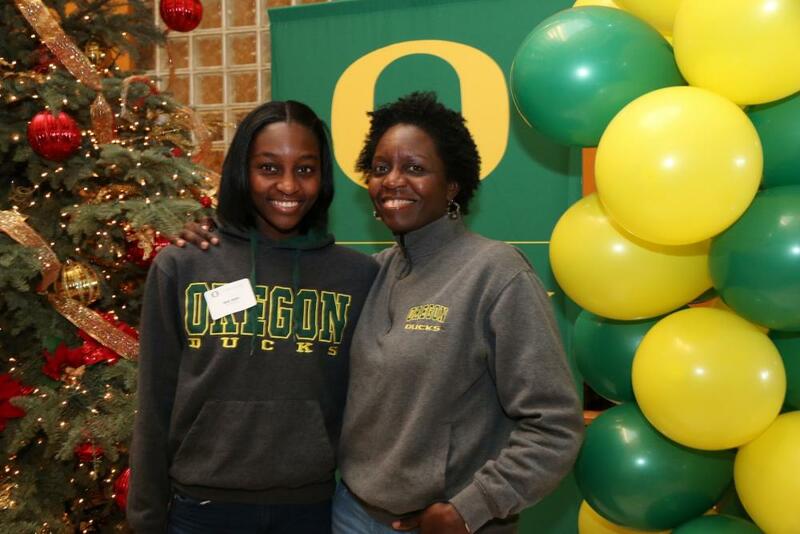 “Oregon has moved up on my list and I am going to look more into going there.” His sister, Jamie, has already been accepted and has decided to attend the UO to study economics. 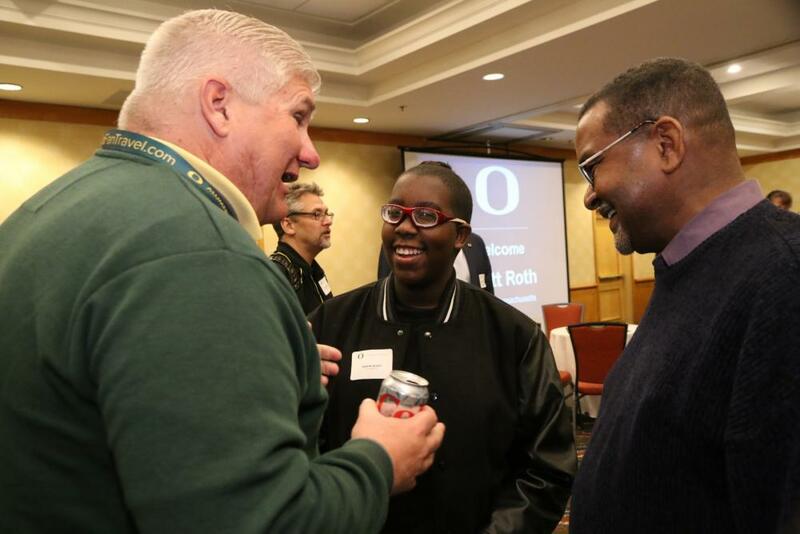 Roger Thompson, UO vice president for enrollment management, says the UO has experienced incredible success showcasing the university’s academic strengths in conjunction with athletic events. 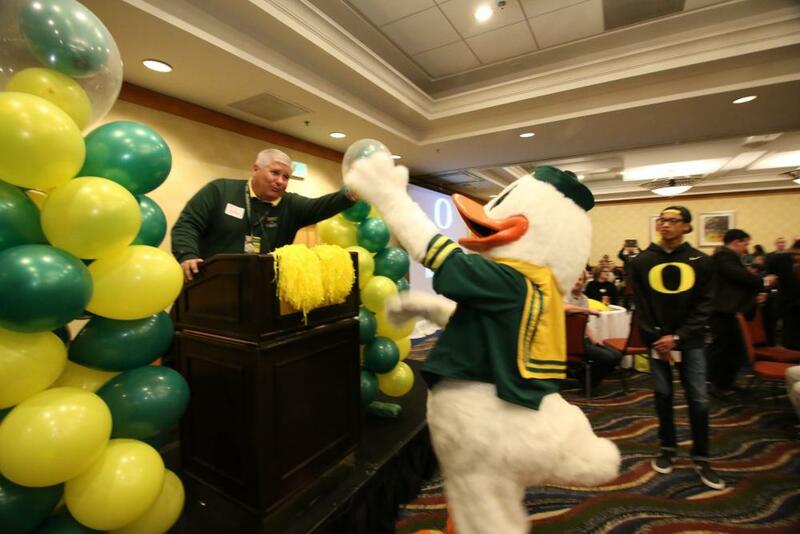 The UO won the 2011 Rose Bowl, and there are currently approximately two dozen current students who attended the bowl recruitment event as high school students. Southern California is home to an ever-increasing number of UO students. 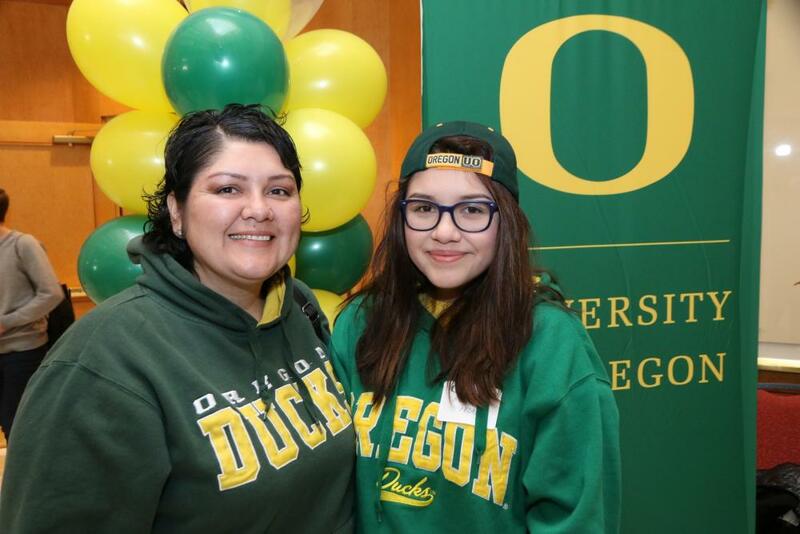 According to the College Board, the UO is the top destination for Californians who don’t stay in their home state to pursue higher education after high school. Tyler Landwehr, a junior from Encinitas, Calif., came to the event with his father, and says Oregon is his No. 1 school. 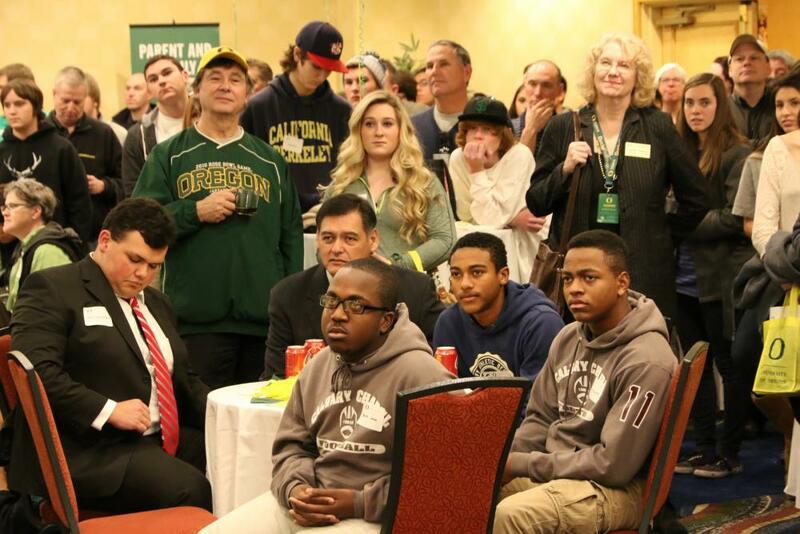 Not long after professing his love for the Ducks, Tyler heard Thompson call his name out in the crowd. Tyler was one of three students who won a pair of tickets to the Rose Bowl. Beaming, Tyler handed the tickets to his father for safe keeping. Following the reception, the students and families were invited to a UO street fair and block party along the Third Street Promenade in Santa Monica. The event drew Duck fans to a three-story pep rally that included a visit by the Duck, Oregon cheerleaders and the UO Marching Band.